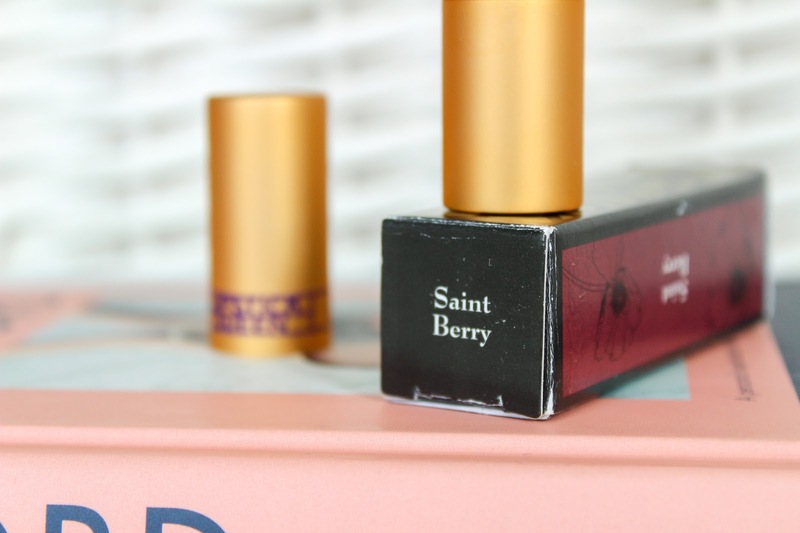 If there is one thing I love about Autumn, it's being able to get out alllllll my berry lip products to wear through until I switch everything to red for Christmas. 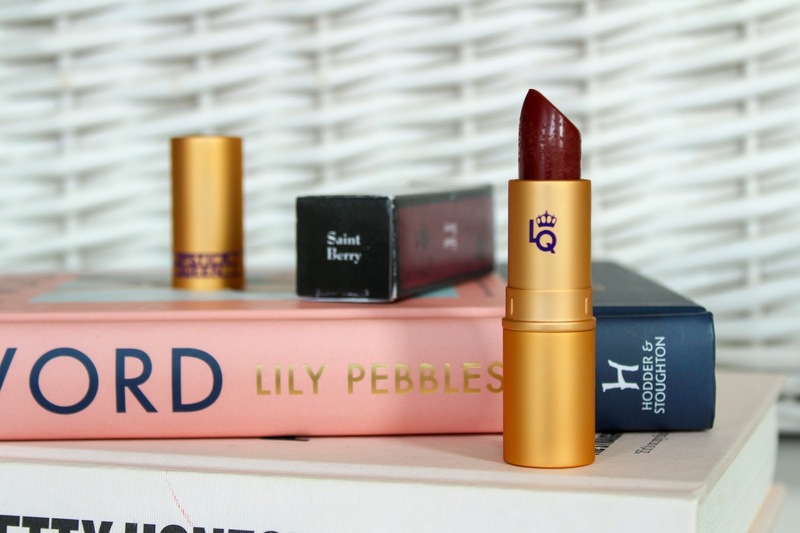 I've always matched my colours to seasons and so when I was nosing around my local TK Maxx in search of candles, cute baby clothes and the odd beauty product or two, I stumbled across a few shades from Lipstick Queen. 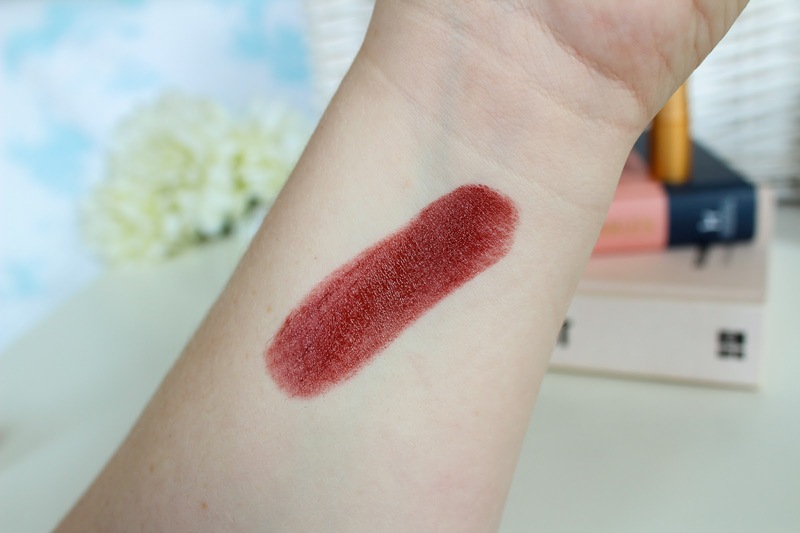 I've never used Lipstick Queen before and as they were being sold for £4.99, I snapped one up. Lipstick Queen is one that's just never quite been on my radar enough for me to try them. I still love to shop my beauty in person, I love the experience of browsing counters for my perfect shades and as my nearest Lipstick Queen is in Winchester, it's never been a brand I've bee lined to until I discovered the stash as TK Maxx. 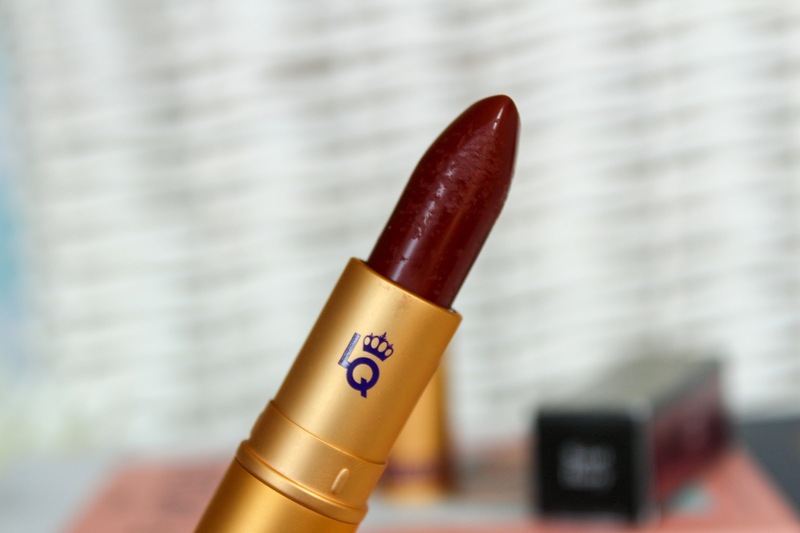 The lipsticks come in a branded box adorned with the Lipstick Queen logo. When you take the lipstick from the box you're met with matte gold casing which makes it feel quite luxurious. The bullet inside is full of colour but once applied it leaves a subtle pop of colour of your lips. 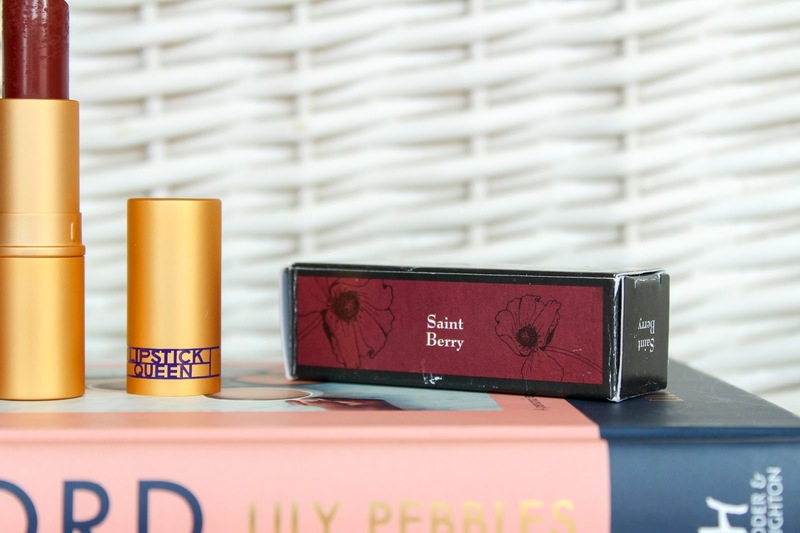 I bought the shade Berry from the Lipstick Queen Saint range which is designed for when you want to add a hint of flattering colour to your look. Each lipstick shade is easy to wear and contains 10% pigment to give you gorgeous, subtle colour. The formula is moisturising, long lasting and completely fragrance and shimmer free. I am not a glitter fan at all! Usually I like really matte, bold lips but I thought during the day I'd switch it up a little and add in some subtle berry. Any excuse for a new lipstick right?! 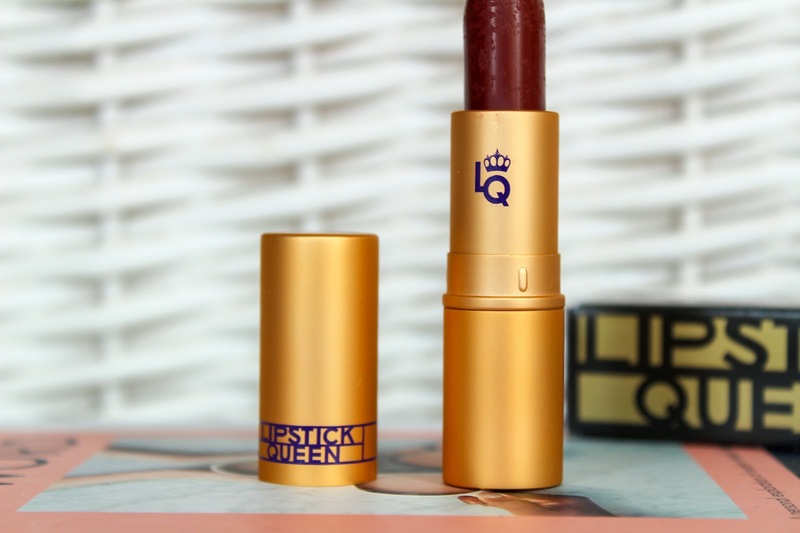 You can purchase Lipstick Queen online and in Space NK, there is such a variety of shades and ranges to choose from that you could be there for a while but lipstick shopping is the best type of shopping right?! 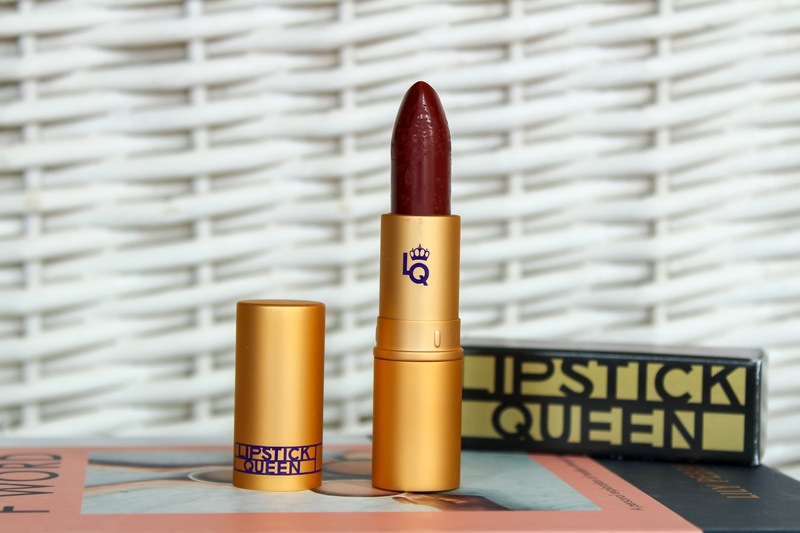 Have you tried Lipstick Queen before? What would you recommend? wow another perfect lipstick that will suit you down to the ground! Wow - that’s a fab colour although I know it would completely wash me out!! What a perfect Autumnal Shade! What a stunning shade! So perfect for Autumn.